Hi, guys! I hope you are all well! Today I want to show you my cute new bag! Sprout Patterns approached me to see if I would try out their service and blog about the experience*. Sprout Patterns is an offshoot of Spoonflower, the site where you can choose custom designs uploaded by users or your own designs, and have them printed on fabric. 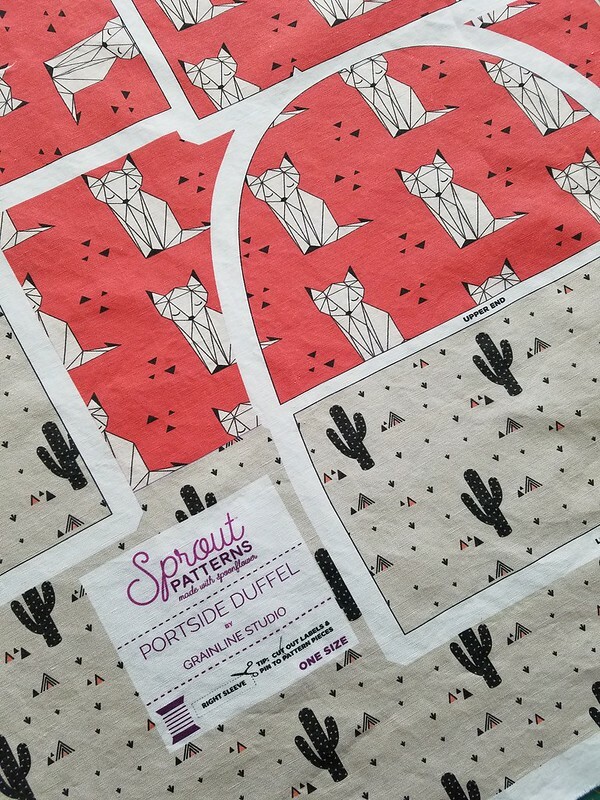 Sprout partners with indie sewing pattern designers; like with Spoonflower, you can select or design your own prints, but you also select a sewing pattern and the pattern pieces are printed directly onto the fabric. 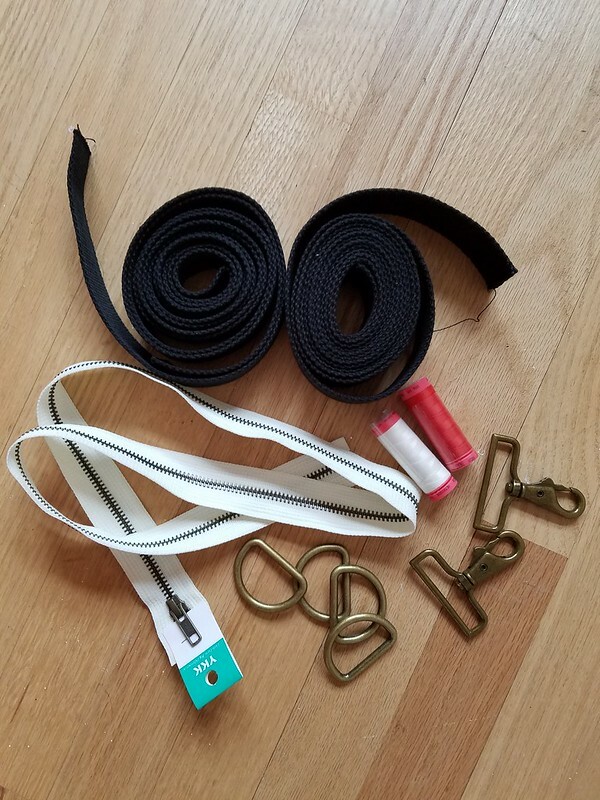 Bag Hardware: D-rings, swivel bolt hooks, and cotton webbing from Pacific Trimming. Zipper from SIL Thread. 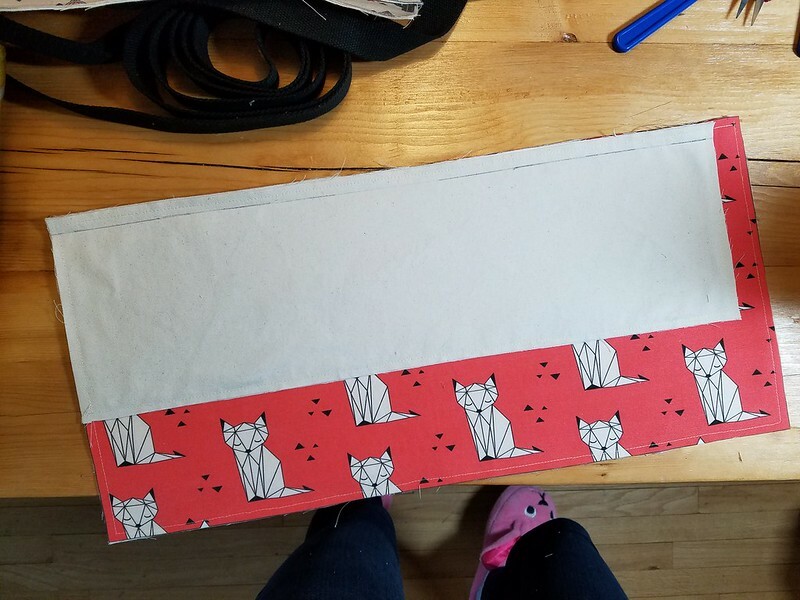 So, the cool thing about Sprout is that you don’t have to mess around with paper patterns, pinning, or tracing before you cut things out- you can just cut right into the fabric and you’re good to go! The obvious downside to this is that you can’t go crazy with fit alterations because the pattern pieces are printed on the fabric. Along these lines, if you’re between sizes or a different size on top than on bottom, you can’t really do anything about that. So choosing projects that have a forgiving fit is one way to deal with this, or or you can choose a project from a pattern company with sizing that fits you pretty well right out of the envelope. 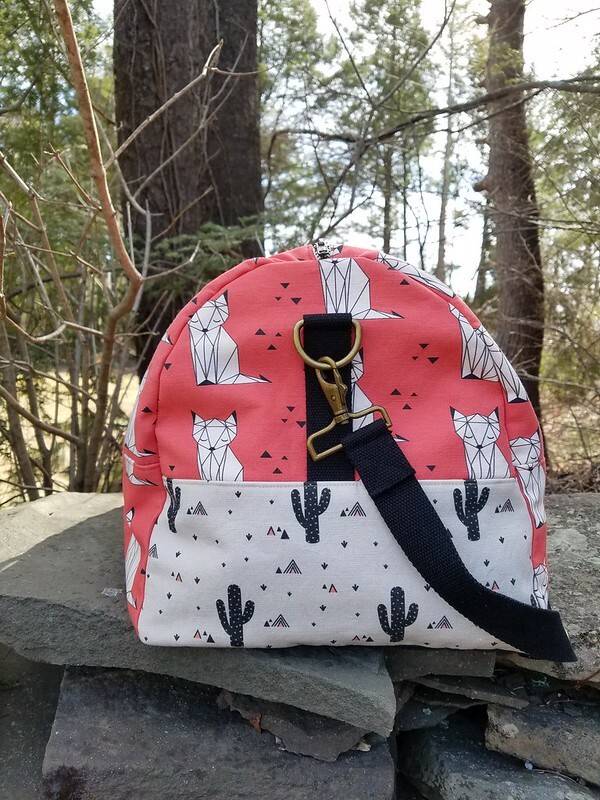 I didn’t want to stress about sizing, so I decided to make a bag- that’s one way to solve that problem! The process is pretty simple. 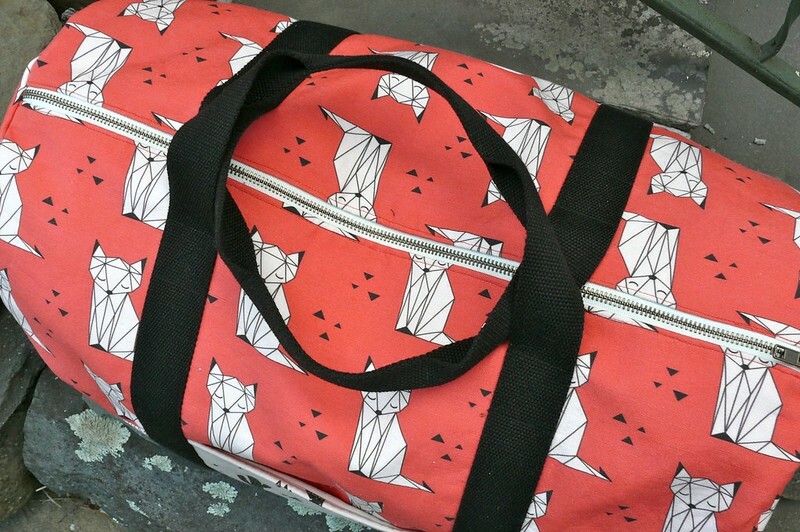 You choose a pattern/project, and then you can select prints that you like or upload your own. You can move the prints around on the pattern pieces to center motifs that you like, and you can pick coordinating prints or solids, if you choose. Next, you select your preferred substrate from a list of options that are appropriate for your project. Each pattern piece is labeled, with notches marked and seam allowances added. Once you place the order, you receive the PDF of the pattern via email, and the printed fabric ships out a few days later. You provide your own notions, interfacing, and in this case, lining. I selected Linen Cotton Canvas Ultra as I wanted to use natural fibers so I could press the seams easily and I’d heard that the Heavy Cotton Twill wasn’t going to be available for much longer and I didn’t want to use something that might not be around by the time I finished my project. Unfortunately, this was not the right choice! It’s way too light for a bag, so I had to underline it with some leftover canvas that I had kicking around from an upholstery project. I also interfaced each piece, as per the pattern instructions. Even though notches are marked on the fabric, other markings aren’t included (they can’t be printed on, or they’d be visible), so unfortunately, I had to print and assemble the (included) PDF pattern so I would know where to place all the webbing. I would have rather just had instructions to measure 4″ from the side seam or whatever so I didn’t have to deal with all that paper waste. Unfortunately, by the time I’d dealt with underlining the fabric and assembling the PDF, this felt just like any other sewing project… all of the ease of cutting straight into the fashion fabric was erased. The thing that I found super irksome was that the instructions called for prewashing the fabric, which I did, but the fabric shrank quite a bit (I can’t remember the temperature that I washed it at, but I guess I should have just line dried the fabric instead of tumbling it?). Unfortunately, the print layout on the fabric had the upper side piece printed on the grain and the lower printed on the crossgrain, and they shrank at different ratios, so when I went to sew them together, the lower side was 1″ shorter at the seamline. This turned into a real headache as I went along- the pockets don’t match up with the end panels because they were placed different directions on the grain, and the lining, which was cut from the same pattern pieces as the shell, but with pre-shrunk fabric, was considerably bigger than the outer bag. It’s not the end of the world with a bag, but I’m not certain how this would play out if you were making a garment. The pattern itself was very straightforward to put together, and was quite fun for me. I’ve never really made a bag before, so it was cool to see how that worked. The instructions were clear and the resulting bag is super usable. I followed the instructions to a T; the only change I made was to sub out the printed bottom piece for a bit of waxed canvas I had kicking around. 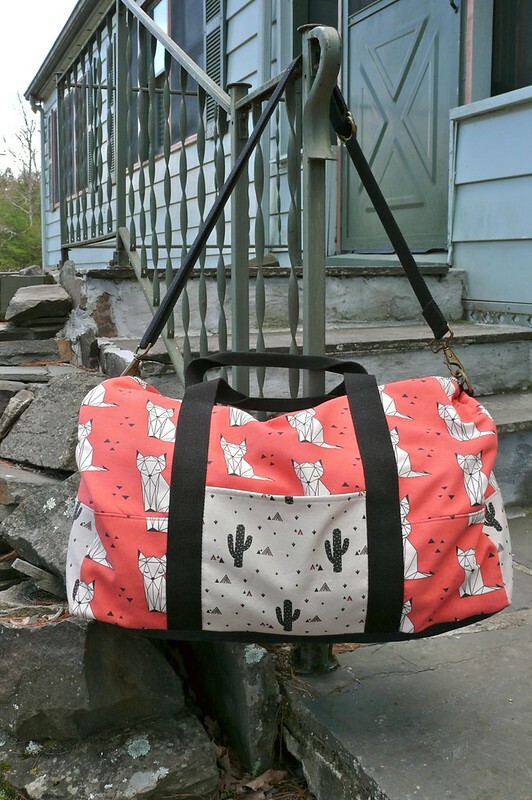 This seemed like it would wear better over the long run than the linen/cotton fabric… I’m pretty hard on bags, historically! 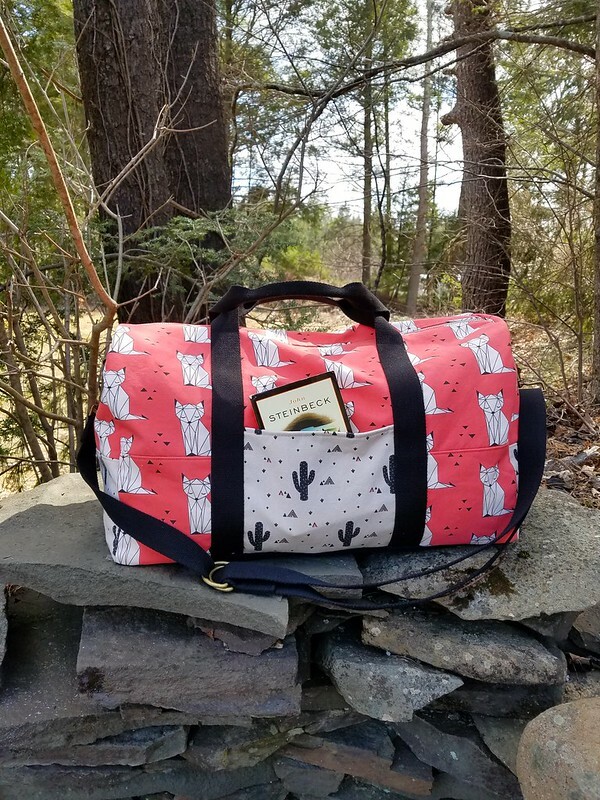 The cost seemed pretty reasonable to me for the bag- the project was complimentary to me, but it would have cost $44 in the fabric that I chose. 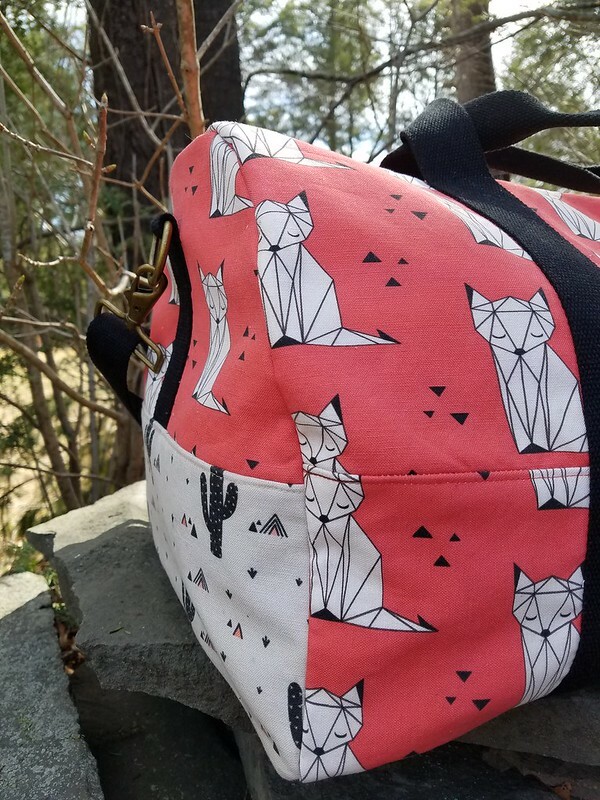 Since the bag pattern, included when you buy the project, would cost you $14 to purchase yourself, paying $30 for custom-printed fabric doesn’t seem too terribly steep to me. 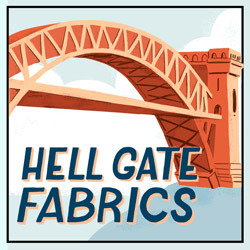 Yes, it’s more than you would probably pay if you grabbed a couple of yards of fabric at the store, but for something special that’s printed to your specifications, that doesn’t seem too high. The overall cost of the bag gets a little steeper when you factor in the cost of lining, webbing, zippers, and bag hardware. I recommend shopping around a bit for these things- they really varied in price at different spots in the Garment District! Overall, I’m really happy with the finished bag. I think if I used Sprout again in the future I would be careful with laundering as that could really change your experience, but otherwise, it’s a very user-friendly service that was a fun change of pace from my usual sewing projects. 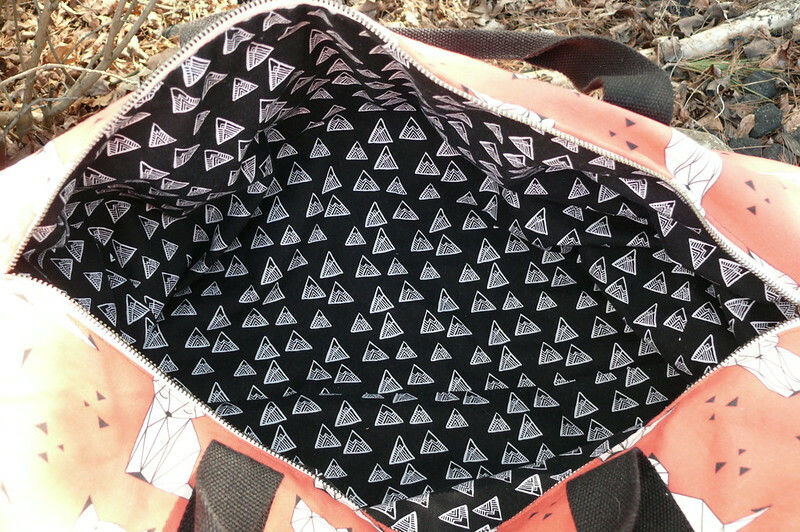 I really enjoyed making a bag, too, and would definitely recommend this pattern for gift sewing. I could see myself making a few more bags for friends and family members! 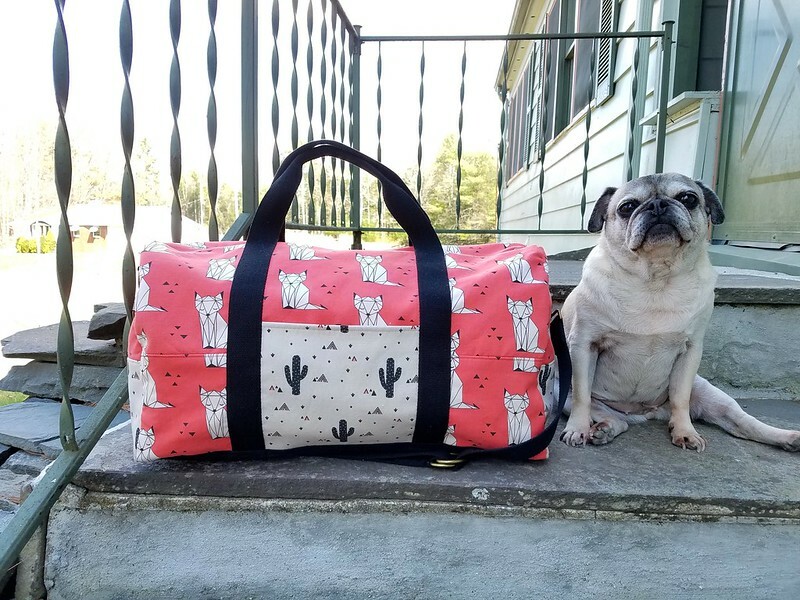 Plenty of room for all your pug’s accessories! Alright, have you guys used Spoonflower, Sprout Patterns, or any other custom fabric service? What were your experiences like?